With 15 years of experience, Deokie Ramlochan-Ramjohn is the Corporate Service Manager of AlgEternal Technologies LLC where she brings unprecedented expertise in business management and operations, administration, marketing, human resources and finance to her role. Deokie’s responsibilities include developing and executing efficient strategy for the operation of all departments, procurement, logistics, frequent travel, and maintaining general order. She provides critical Corporate Services Management functions to AlgEternal, reviewing, amending, and creating where necessary, the internal policies, procedures, and controls to ensure that the Company meets and exceeds internal and statutory reporting requirements. After receiving her Bachelor’s degree in Business Management from Heriot Watt University in the UK, a believer in continuous improvement, Deokie went on to earn a Professional Certificate in Events Management from the George Washington University School of Business. Deokie has enjoyed consistent success in both the public and private sectors, holding increasingly senior positions, which she credits to her studies and meticulous dedication to detail. Moving forward, she hopes to one day own her own business. She takes an active role in promoting the company’s corporate social responsibility through volunteerism as a member of the Lions Club, Rotary Club, and the Texas Women’s League. When not engaged with work, Deokie enjoys travel with her devoted husband, cooking, shopping, entertaining and spending time with her family. 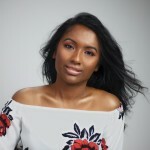 Worldwide Association of Female Professionals Member, Deokie Ramlochan-Ramjohn, can be found on the Association Directory, where she is looking forward to networking with you.